When you leave a comment on THIS post by 6 p.m. CT Wednesday, October 2, 2013 you'll be entered in the DRAWING for a copy of the book I review below. If you mention in your comment that you’re a follower (see in the left column “Join This Site” and “Follow by Email”), I’ll add your name a second time in the drawing. You must be eighteen, have a U.S. mailing address, void where prohibited. You can read details about my book giveaways at Disclaimers. Kathryn J. Bain began writing more than twelve years ago. 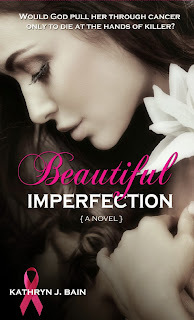 Her fifth book, Beautiful Imperfection, released September 29, 2013. She is the former President of Florida Sisters in Crime and is currently the Public Relations Director for Ancient City Romance Authors. To survive and pay bills, she has been a paralegal for over twenty years and works for an attorney who specializes in elder law. She has two daughters and a dog named Gretchen. Her first grandchild, Hope, was born in May, 2013. Kathryn grew up in Coeur d’Alene, Idaho. In 1981, she moved to Boise, but it apparently wasn't far enough south, because two years later she headed to Jacksonville, Florida and has lived in the sunshine ever since. (1)I have been a paralegal for about 25 years. Currently, I work for an elder law attorney. (2) My first grandchild was born in May. Her name is Hope, and I'm spoiling her rotten. (3) I don't particularly care for inspirational fiction because I find it sappy or unbelievable. Hanging with my new granddaughter or catching up on episodes of shows I've missed. Just finished watching all of Castle and The Closer. Now I’m watching Vera, a mystery out of England. John Sanford’s Bad Blood. A lot of excitement. I have a hard time naming five favorite novels. So many have been good. But I do have five favorite authors: Janet Evanovich, C.J. Box, Dean Koontz, Robert Parker (The original Spencer author), and Sue Grafton. Dean Kootnz. I think he's the best at writing suspense, and I'd love to get inside the man's head to see how he does it so well. I used to complain about the endings of movies or television shows. I'd say "That would be better if..." My daughters finally said for me to write one. So I started writing screenplays. That didn't work well. Then I thought I'd make my first million writing children’s books. Thirty pages, how hard can that be? Finally someone gave me some good advice. Write what you read. Now I do mystery and suspense. I write in my den. My television is also my monitor so it keeps me from distractions. Also, with it just being my dog and me, I don't have to worry about other people interrupting me. Please tell us about Beautiful Imperfection. My book is inspirational romantic suspense. Teddy Federline, a breast cancer survivor witnesses a mass murder, then the other witnesses start getting killed. She’s put in protective custody. Her bodyguard is Sloan Michaels, a guy who dumped her in college. No matter what you go through, God will be there with you. And sometimes it's not just God who needs to forgive us, but we need to forgive ourselves as well. Yes, I did research on breast cancer and realized I knew nothing. I always thought that as a woman I'd know what it would feel like. I was wrong. Proof that unless you stand in the other person's shoes, there is no way to know how they're feeling or what they're going through. I've been writing about twelve (12) years now. My first book Breathless came out January 2012. What advice would you give to writers who have been writing a few years but still haven’t interested an agent or publisher in their novel? Get in a good critique group. They can be very valuable. No matter how good you think you write, others will find ways to make it better. And never stop learning. I've just released my fifth book, but I still take classes and go to workshops to better my writing. I'm working on the third installment in my Lincolnville Mystery Series. It's titled One Last Breath and my hero and heroine are both in their sixties. My latest book, Beautiful Imperfection can be found on Amazon at http://www.amazon.com/Beautiful-Imperfection-Kathryn-J-Bain/dp/1611162564/ref=sr_1_2?ie=UTF8&qid=1378057176&sr=8-2&keywords=kathryn+j+bain. 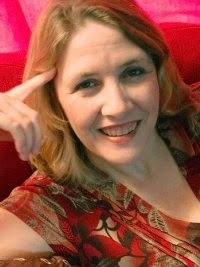 You can find information on how to contact me and where I’ll be on my website www.kathrynjbain.com. One thing I've learned writing Beautiful Imperfection is the importance of getting a mammogram. Don't put it off. Early detection could possibly save your life. Kathryn, thank you for visiting with my readers and me. One of my commenters will win a copy of Beautiful Imperfection. Remember: leave a comment on THIS post by 6 p.m. CT Wednesday, October 2, 2013 and you'll be entered in the drawing for a copy of Beautiful Imperfection by Kathryn J. Bain. Some of you forget to leave your email address. Please, please remember to leave your email address. I’ll need your email address so that should you be the winner I can get in touch with you. I’ll announce the winner in Monday’s blog. The two winners of last Thursday's blog post for a copy of Poison by Jordyn Redwood are Jude and Jennifer. I'll email you. Thanks all for commenting. Watch for more book giveaways. Nice interview with Kathryn. And her book looks like a delicious read. Thanks, Becky. Good luck in the drawing. Becky, thanks for coming by and leaving your comment. Glad you liked the interview with Kathryn. Great interview and Beautiful Imperfection sounds like a good read. Going now to check out her Lincolnville series. pat at ptbradley dot com I am a follower of your blog! Hey, Pat. Thanks for stopping by. It's always good to hear from someone who follows the blog. Pat, thanks for reading and leaving your comment. I appreciate you following my blog!! Beautiful Imperfection has an interesting storyline - suspense & love(? ), love books about forgiveness, & discovering one's self. Being a senior citizen, would love to read your book about the characters in their 60's. And - you're only as old as you feel! Thanks for stopping by and commenting Bonnie. I've had a lot of fun writing the my latest. It's cool to write about older couples when you usually just see the youngsters. It actually gives me hope in my middle age. Good luck in the drawing, and I hope you have a good weekend. Bonnie, glad you follow my blog--thanks!! I like that--you're only as old as you feel. Thanks for leaving your comment. I loved the interview. I have not read any of your books yet Kathryn but I would love too. This one sounds really good. Thanks, Diana for stopping by and leaving such a nice comment. Good luck in the drawing. Diana, glad you enjoyed the interview with Kathryn. Thanks for stopping by and leaving your comment. Thanks Jo for the interview & the giveaway! It's neat to learn more about the authors. I haven't read Kathryn's books yet but am excited to check them out....I love romantic suspense! I am a folllower. Susieq, thank you so much for stopping by. Maybe if you win, I'll make you a fan. ;) I hope you have a wonderful week. Susieq, you're welcome. Glad you came by and left your comment. Also, glad you found a new author for you. I appreciate you following my blog!! Jennifer, you're welcome. Thanks for coming by and leaving your comment. Hello, Jennifer. Thanks for stopping by and good luck. Interesting interview. Why do you find inspirational writing sappy? Just wondering since this book is inspirational suspense. Now you've got me curious and I'll have to go get this book to see what it is like. Good question, Scarlet. I think a lot of Christian authors write "sweet" when the world is anything but. All the Christians in the stories are nice, and even the bad people aren't all that bad. It's like the author is seeing life through rose colored glasses. A lot of Christian fiction doesn't seem real to me. When I read Christian, I want to fall so far into the book, I think I'm there beside the characters. When it comes to Christian authors, I prefer edgy like Terry Blackstock. Thanks for stopping by. Scarlet, thanks for reading and leaving your comment. Great interview. Book sounds like a fantastic read with a wonderful storyline. Thank you for the chance to participate in this giveaway. Please enter my name. Thank you for the comments, Barbara. And good luck on the drawing. Barbara, glad you enjoyed the interview with Kathryn. Thanks for reading and leaving your comment. Love the sound of BEAUTIFUL IMPERFECTION and love the cover too! And I think it's fascinating that the hero and heroine of your next WIP are in their sixties - definitely another to look forwad to. Thanks, Ellie. The cover was done by my publisher over at Pelican Book Group. She does an awesome job. Ellie, thanks for stopping by and leaving your comment. Jo, thought I'd let you and your blog readers know my cover for "Beautiful Imperfection" was announced as a finalist in the Show Me your Covers Contest held by Sunshinestate Romance Authors.